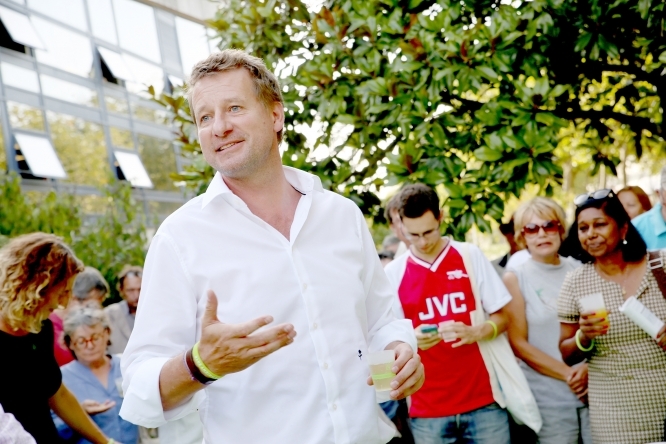 As an economy student in Paris, Yannick Jadot was an active member of numerous environmental groups then, after university, worked for various foreign NGOs spending several years in Burkina Faso and Bangladesh. From 2002-2008 he was a gung-ho campaign director at Greenpeace, and hit the headlines when he sailed an inflatable zodiac into the Ile Longue nuclear submarine base, near Brest, to protest against the French nuclear arms programme, which Greenpeace said was illegal under the Non-Proliferation Treaty which France had signed. He also made headlines when energy giant EDF hacked his computer at Greenpeace to spy on its campaigns (the case went to court in 2011 and some EDF staff were found guilty).